So whats the deal with cardio? Having tried many if not most forms of cardio bar skiing or window-shopping and I can say that the best kind is metabolic circuit training. Ever see those big dudes flipping those massive tires? Or aimlessly hitting them over and over again with a massive sledgehammer? So if like me you have no desire to run aimlessly on the spot investigate metabolic circuit training, it will have you burning fat like sprints but its way more FUN and rewarding too. 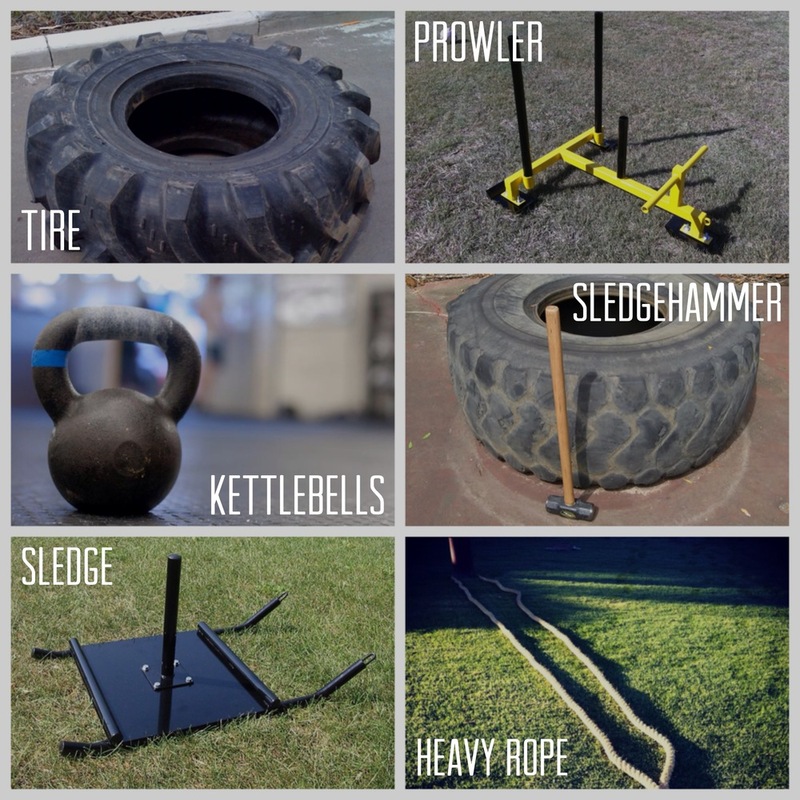 In the picture are some of the tools used to do a metabolic circuit, get to know them, as they should be your best gym buddies! !